Another one of Murray's nieces, Elizabeth who is the editor of her school newspaper in Milwaukee, shares an editorial that she wrote on mental illness. Jennifer Lawrence receiving the award for Best Actress in this year’s Oscars was the most exciting part of the show for many students. Although we tend to focus on her dress, her speech, and the tumble she took on the stairs on her way up to the stage, the role she played that earned her the Oscar is seriously meaningful, insightful, and thought-provoking. 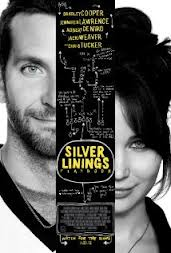 In the Oscar-nominated film, “Silver Linings Playbook,” Lawrence portrays a young widow who suffers from post-traumatic stress disorder and depression alongside the main character who has bipolar disorder and various other minor characters who also suffer from mental illnesses including obsessive compulsive disorder and anxiety. The film provides a basic yet effective understanding of mental illness as it reveals the struggles of helplessness that families who have members with mental illness endure and the stigmas that people with these disorders face in today’s society. The director, David O. Russell, whose son is bipolar, created the film with the intention of providing hope to families who experience this hardship and informing society about these diseases which we often overlook or dismiss. Most importantly, this movie addresses the issue of mental illness as a serious social concern that we must address and pay more attention to in this country. Recent events of violence and death in the United States have only further supported the need our society has for a conversation of how to better provide and care for the mentally ill. The shooting in Newton, CT this past December by Adam Lanza, a young man diagnosed with Sensory Integration Disorder and Asperger’s syndrome, and the shooting in Wauwatosa by an Iraq war veteran, Benjamin Sebena, who suffered from post-traumatic stress disorder, are obviously extreme examples, but these horrific incidents expose the prevalence of the flaws in the national mental healthcare system. The incarceration of the mentally ill also creates problems in dealing with providing the best possible care for these troubled people. Facts from a recent study by the Council of State Governments Justice Center show that even as the jail population has decreased, inmates with mental disorders has risen by 24 percent, currently totaling one-third of the daily jail population. This statistic proves the flaws in the nation’s system of protecting the mentally ill. Rather than marking these diseased people as criminals and separating them from the rest of society, we must treat their specific needs, just as we would a cancer patient, and help them to function as valuable citizens, friends, and family members. Editor’s note: Some of this information was obtained from jsonline.com, thehuffingtonpost.com, and nytimes.com.